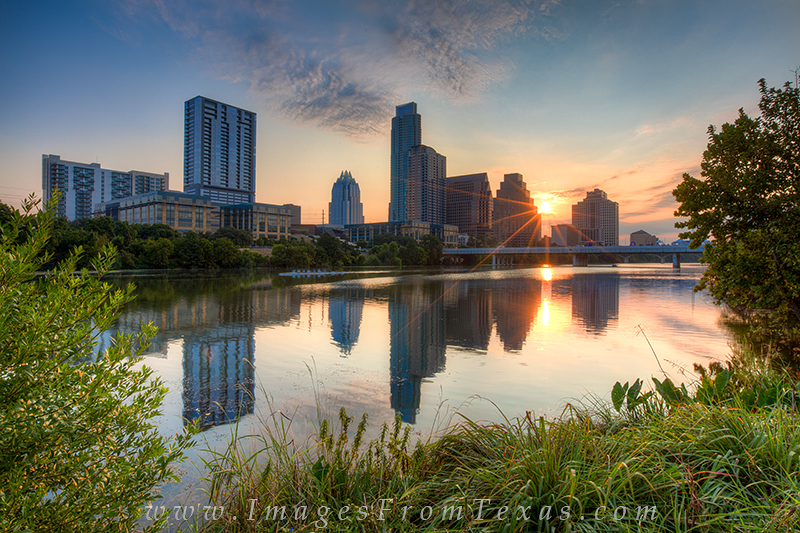 This Austin image comes from the shores of Ladybird Lake only feet away from the Stevie Ray Vaughan memorial. In the distance, the Austin skyline rises up on this September sunrise. Highlighting the Austin cityscape is the iconic Frost Bank Tower. The tallest Austin high rise is the Austonian (to the right). To the Frost Bank Tower's left is the 360 Condos. Photo © copyright by Rob Greebon.